Let us introduce you to one of our favorite artists that we work with here in San Cristobal de Las Casas, Joaquin Lopez Lopez. Though for the most part Joaquin is a self taught artist and sculptor, he did apprentice with world renown sculptor Pedro Pica Piedra. 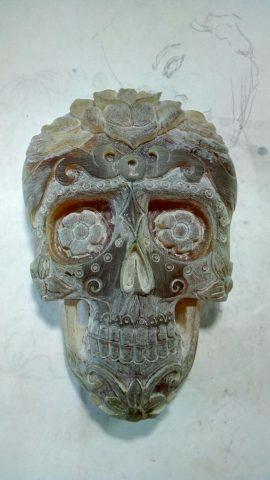 He is very dedicated to his art form, as well as the material he creates his impressive sculptures with. 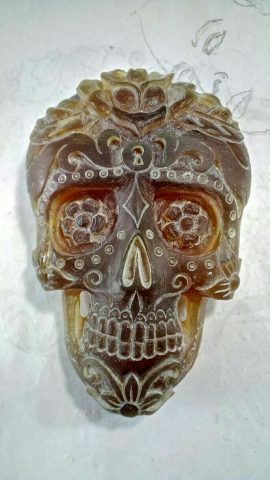 In fact, he only carves Mexican amber. 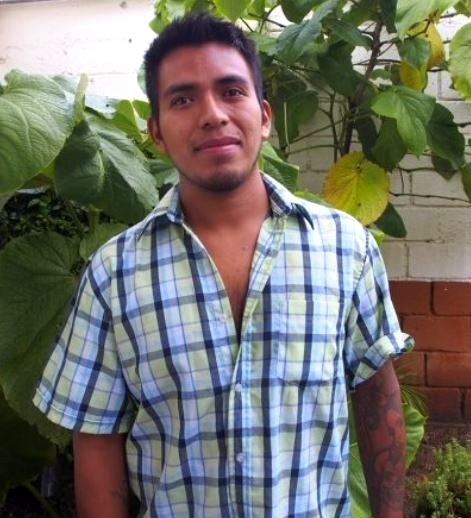 He’s from Simojovel, Chiapas. Being born and raised close to the amber mines, he’s got amber running through his veins. Joaquin’s sculptures are award winning. He has placed the last 3 consecutive years at the Expo Ambar de Chiapas. 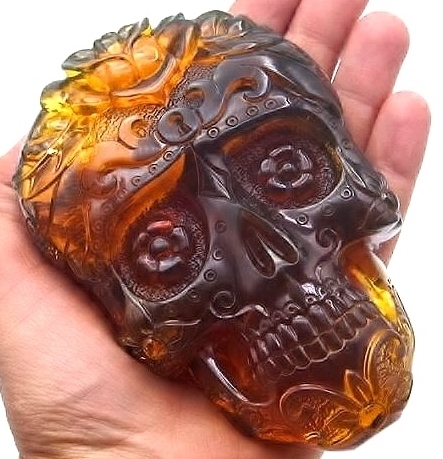 This annual event held each summer in San Cristobal de Las Casas is the premiere amber exhibition in all of Mexico. 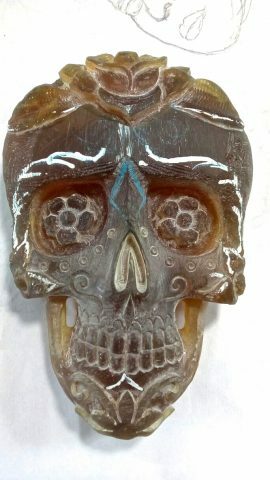 Amber artists, mainly from Chiapas, compete in different categories. In 2018 Joaquin won 1st place for Best Sculpture, and 3rd place for Best Bas Relief. 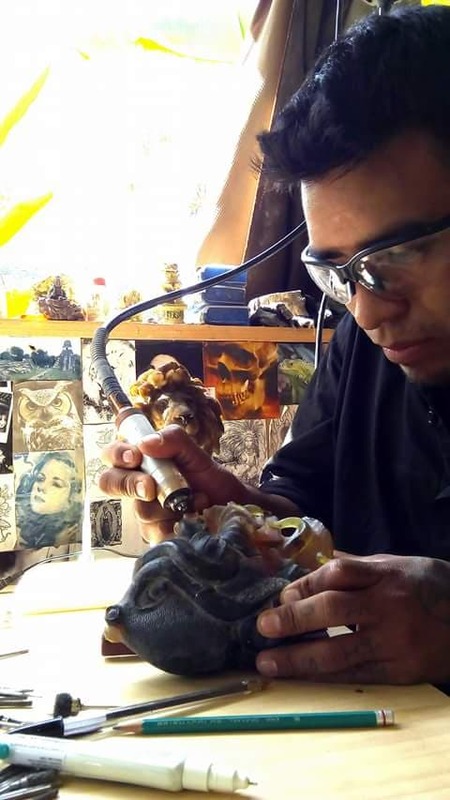 We’ve been commissioning sculptures and carvings from Joaquin for over 4 years. 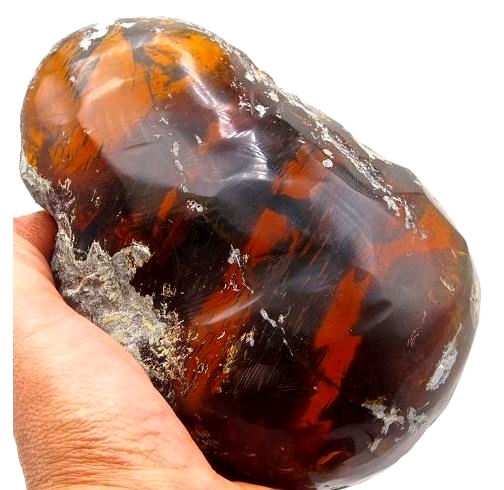 Most of the time he takes the hunk of amber we give him and the specimen itself tells him what to carve. 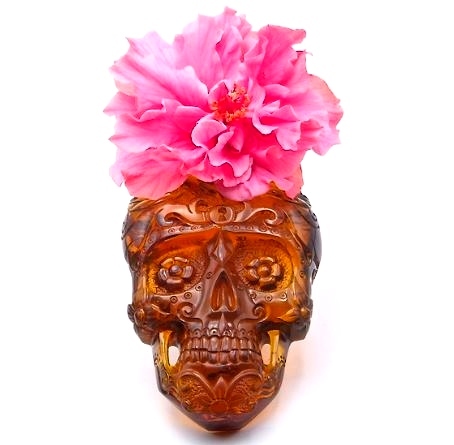 He then comes back with a gorgeous finished sculpture, often inspired by the natural world. 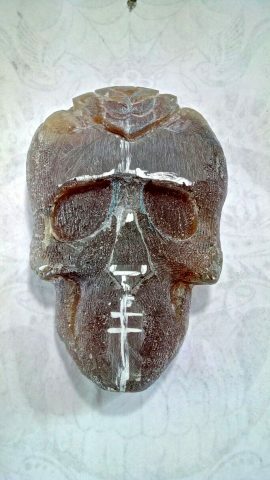 He has the incredible creative ability to take a 24+ million year old fossil and carve it into a truly beautiful work of art, essentially bringing it back to Life by transforming it into something new and awe-inspiring. 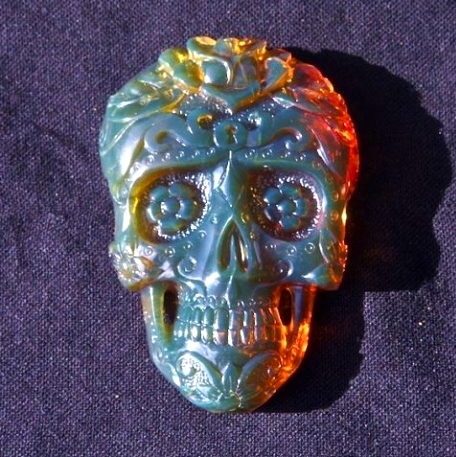 In this post we are highlighting the process of sculpting amber from start to finish. 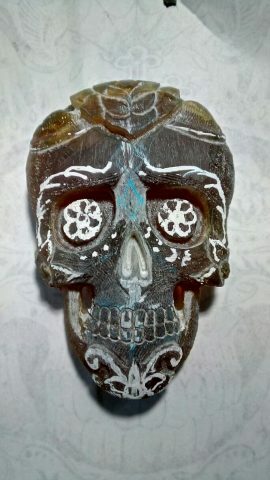 We commissioned Joaquin to do a Day of the Dead skull. 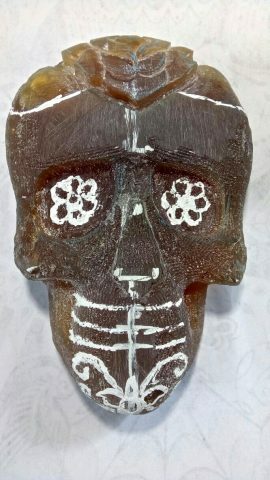 We gave him a nice chunk of Mexican amber to take home and asked him to photograph some of the process. Of course, he has full artistic license when creating commissioned pieces. Consequently, this is a sneak peak into his process of making this truly amazing sculpture. Thanks for visiting us and have a great day!